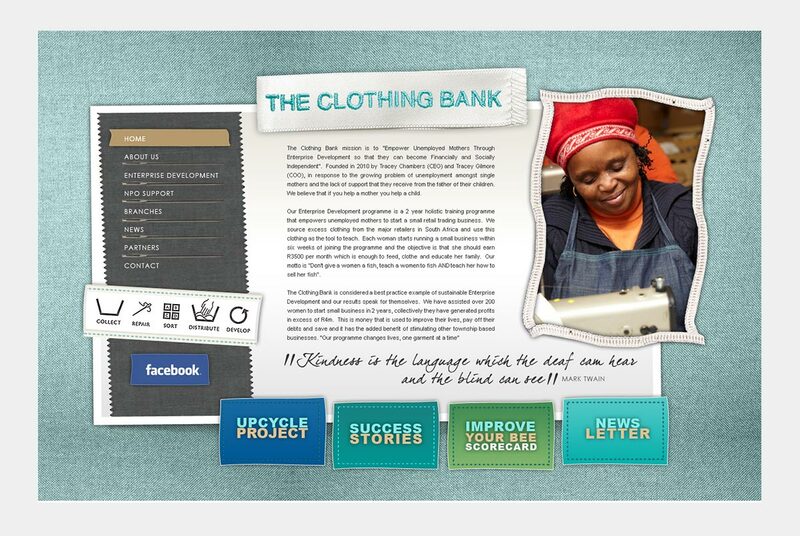 The Clothing Bank's mission is to "Empower Unemployed Mothers Through Enterprise Development so that they can become Financially and Socially Independent". All we can say s WOW as to the work this organisation does. Very humbling. Go visit website, the premises, get involved! This is a Joomla! Content Managed website.